Ein Prosit at Bell's Brewery in 2008. Bell’s Brewery in Kalamazoo is having their Oktoberfest on Saturday featuring the German band Ein Prosit from 1 p.m. to 3 p.m. Band founders John Griffith and his wife Chris say it all started “one time at band camp.” Chris and John go to these adult band camps all across the country. The alphorn players at the Grand Rapids Festival of the Arts, June 2012. So in October of 2002, Chris says they ordered two sets of music from a German mentor of theirs in Texas and invited all of their friends from Michigan and Indiana to play with them. She says 14 people showed up. 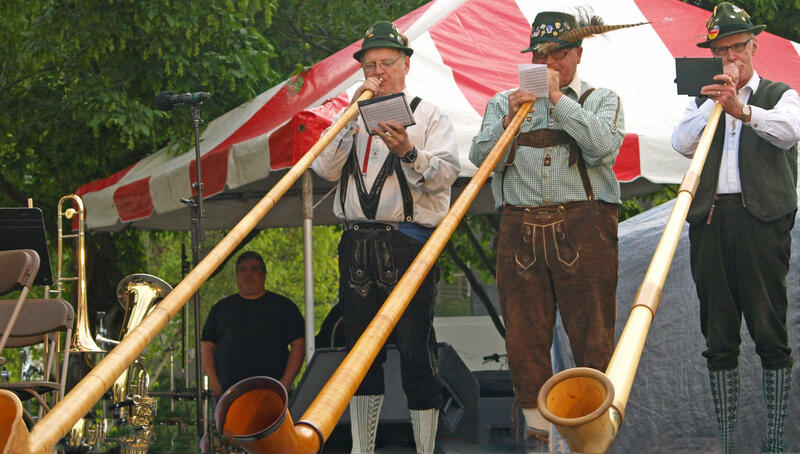 Now the group has more than 60 members across three states, including ten alphorn players. Alphorns are those 12-foot-long wooden Swiss horns you might have seen on the Ricola commercials. John Griffith is one of the Alphorns. Ein Prosit boasts the largest Alphorn Ensemble in North America. They also have trumpets, trombones, tubas, euphoniums, tenor horns, percussion, clarinets, bells, cowbells, flugelhorns, and one piccolo—that’s Chris. 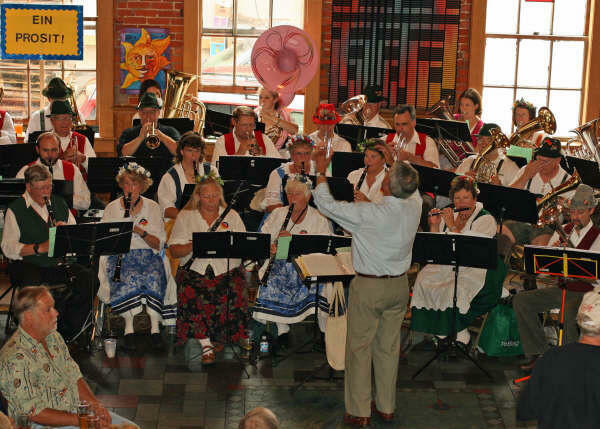 The band plays marches, polkas, waltzes, and schottisches. A schottische is a type of folk dance with a lot of turning hops. Chris says you probably know more German traditional songs than you might think. Even “The Chicken Dance” is based on a German song. But Chris says one song is definitely not German. Chris and John describe Ein Prosit as “the band that only plays happy music.” That’s because it’s the happy songs that make you want to get up and dance. Even if you’re not participating, don’t expect to simply listen to the music. John says you’ll miss out if you don’t watch too. Henna, or mehndi, is a type of temporary tattoo usually used in India, Africa, and the Middle East. 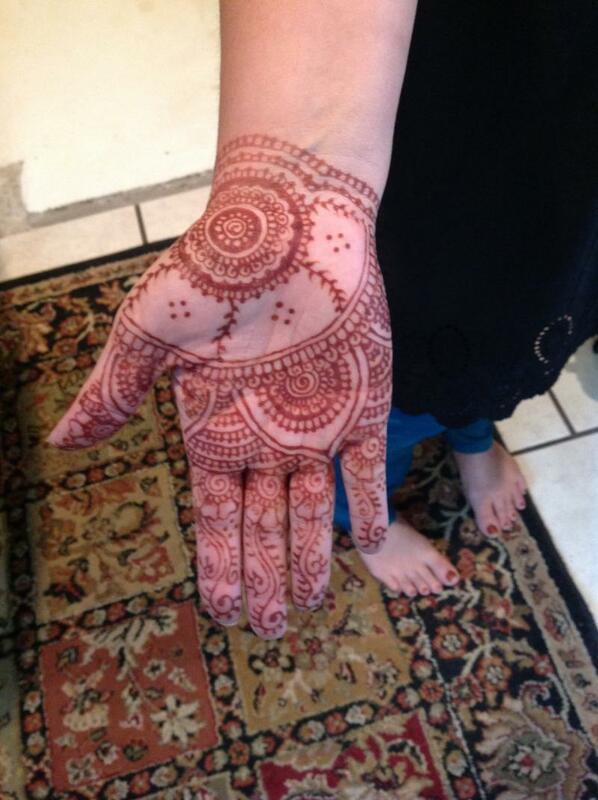 Over the past few years, henna has become more popular in the U.S. 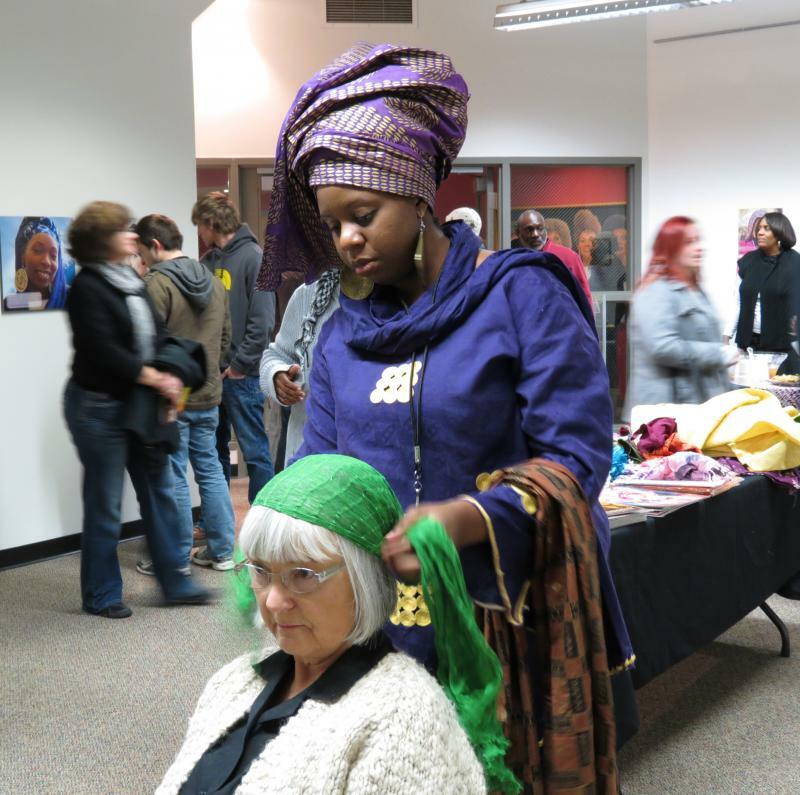 Listen to "Beautifully Wrapped: The Fashion Tradition and Culture of Head Wrapping"
The exhibit Beautifully Wrapped: the Fashion Tradition and Culture of Head Wrapping is on display at the Black Arts and Cultural Center until the end of this month. 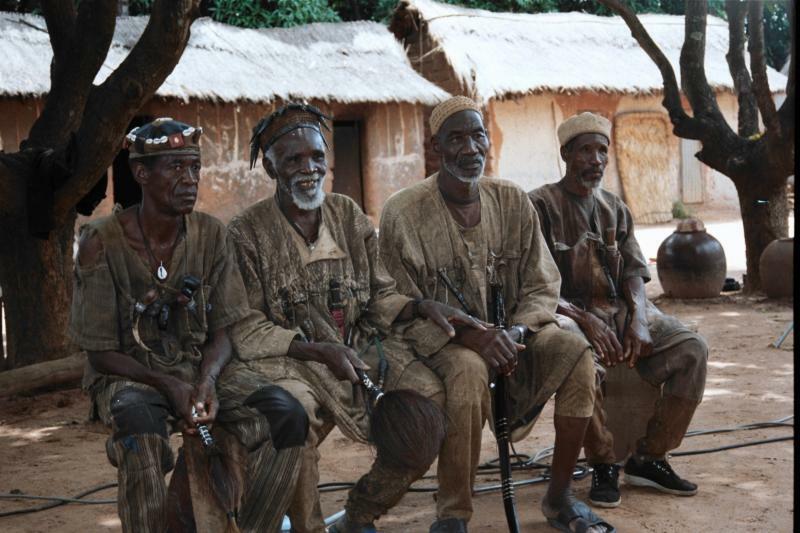 The exhibit has pictures of women from all over the world wearing head wraps. Try to count how many foreign films you’ve seen in your life. If you’re like most Americans, you’ve probably only watched a handful.